Jillian Elder, who spoke at the 2015 Esri Business Summit, leads the enterprise location intelligence team at Walgreens. Walgreens uses GIS technology to track the incidence of flu, decide where to open new stores, and select the types of merchandise to sell at its 8,200 locations. The Brazil-based Natura, which manufactures and markets beauty, household, and personal care products, uses GIS to collect and share supply chain data throughout the company. The David Hicks Company, a commercial real estate, consulting, and brokerage firm based in Allen, Texas, uses GIS to organize project information and map available properties for potential clients. 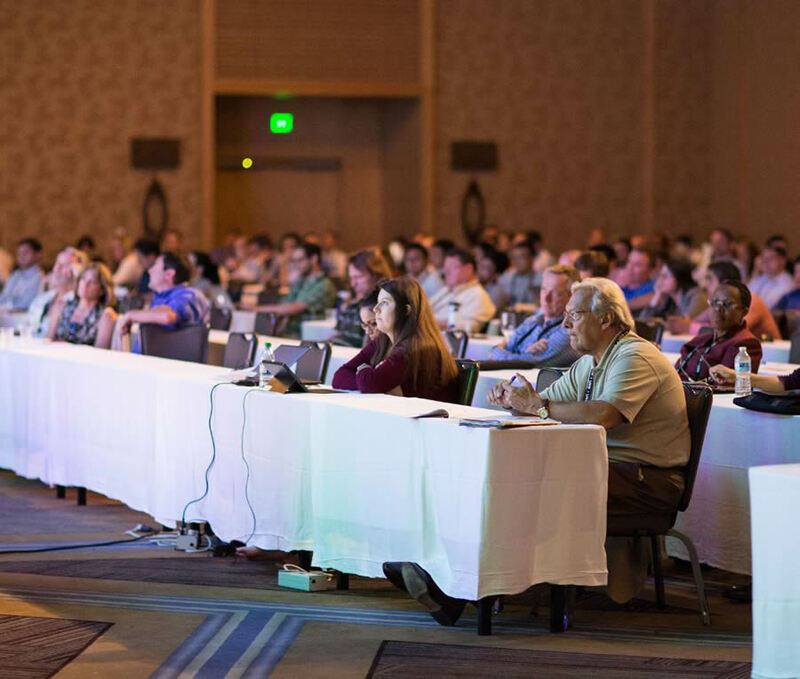 These are just three of the compelling examples of how businesses use GIS technology, as told by executives at the 2015 Esri Business Summit, held July 18–21 in San Diego, California. 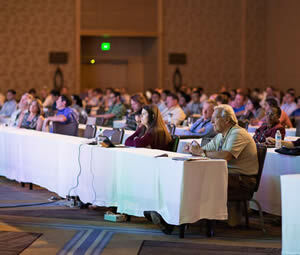 Hundreds of retailers, real estate brokers, financiers, marketers, and supply chain and manufacturing managers joined sales professionals and journalists to hear how top businesses from around the world use Esri's ArcGIS platform to visualize, analyze, and share information. One of the most popular presentations was given by Jillian Elder, director of location intelligence at Walgreens, which sells pharmaceutical drugs, cosmetics, and other products. Elder said that Walgreens' ability to serve eight million people conveniently every day did not happen by chance. GIS technology was first used to help Walgreens select store sites, but now its use has expanded within the company. From ensuring the right mix of products at the 8,200 stores to better understanding corporate strategies, mergers, and acquisitions, Esri ArcGIS gives Walgreens an accurate look into the daily operations of its business and stores. 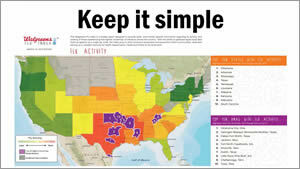 Walgreens created a simple yet powerful mapping platform to communicate where flu activity was high. "The ArcGIS platform allows us to consume information across the enterprise, think about it in a spatial way, and deliver it back out in a variety of formats, depending on what makes the most sense to the individual users," said Elder. "It isn't just about data or technology—it's about a way of solving problems." Walgreens' central GIS department, known as the Enterprise Location Intelligence team, developed WalMap, WalMap Pro, and WalMap Pro Mobile to provide users throughout the company with access to geographic insight. Developed as a set of custom applications with assistance from Esri Platinum partner Latitude Geographics on Geocortex, a solution based on ArcGIS, WalMap apps can be accessed anywhere, anytime, and on any device. GIS also helps the company analyze data in near real time and communicate important health information to the public such as where the flu is prevalent. 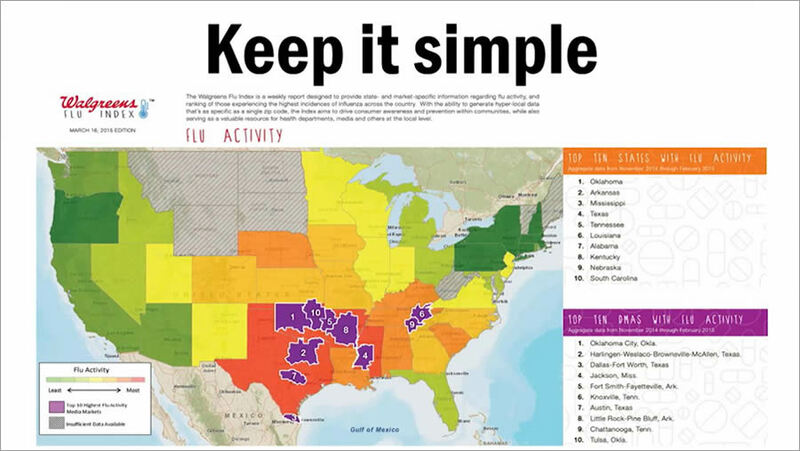 Walgreens Flu Index is a flu tracker that lists and maps the top 10 cities and states with high flu activity based on in-store sales of antiviral medications. 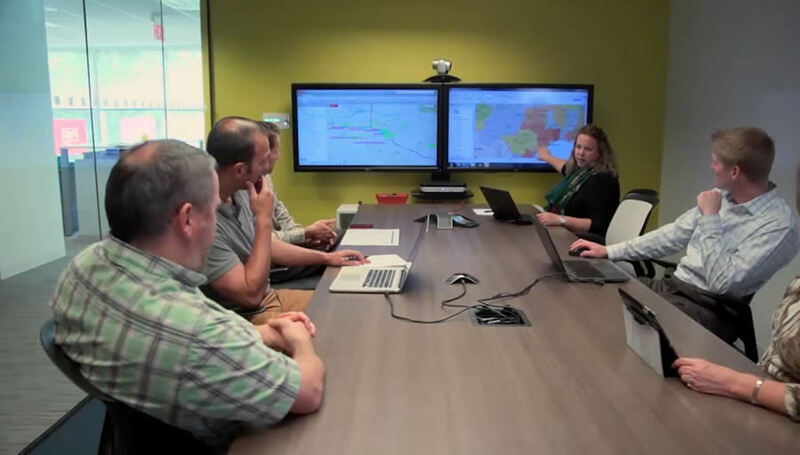 Watch this video to see the many ways Walgreen's uses GIS. 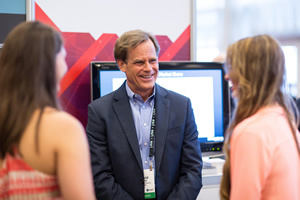 The Esri Business Summit brought together executives from many different types of organizations. Paulo Simao, an industry director for Imagem, Esri's distributor in Brazil, talked about Natura, a manufacturer and marketer of beauty, household, and personal care products. Natura sells its products through catalogs and direct representatives and has more than 1.2 million personal resellers located in countries such as Brazil, Chile, Argentina, Colombia, Peru, Mexico, and France. Natura uses eco-friendly ingredients in its products. The company's sourcing practices conserve biodiversity, and its agroforestry farming and employment strategies build community wealth. The company's business practices respect traditional knowledge and values and ensure economic benefits are equitably shared all along the supply chain. According to Simao, Natura staff implemented the ArcGIS platform to collect and distribute chain data throughout the company. Production and harvest data, including the locations of thousands of farms and more than a million direct distributors, is compiled on tablets in the field using Esri's Collector for ArcGIS. This information is combined with business data from SAP and analyzed and published in Esri's ArcGIS Online as maps and apps. David Hicks says his real estate company uses ArcGIS Online. After working for four national commercial real estate firms over a 23-year period, David Hicks founded his own company, the David Hicks Company. It's a four-person commercial real estate, consulting, and brokerage firm based in Allen, Texas. The company's average annual sales total $25 million. Once the sole domain of the larger real estate firms, location analytics is now within the reach of smaller firms. Esri's ArcGIS Online helps the David Hicks Company organize information. The size and complexity of Hicks's projects require strategic alliances with architects, engineers, attorneys, and other professionals such as Esri partner Datastory Consulting. Hicks and his staff worked with Datastory Consulting to enhance the company's website, using an interactive map created with ArcGIS Online to provide prospective clients with information about available properties, including the location and acreage. "We can work smarter … and I think Esri has really helped us in that regard," Hicks said.